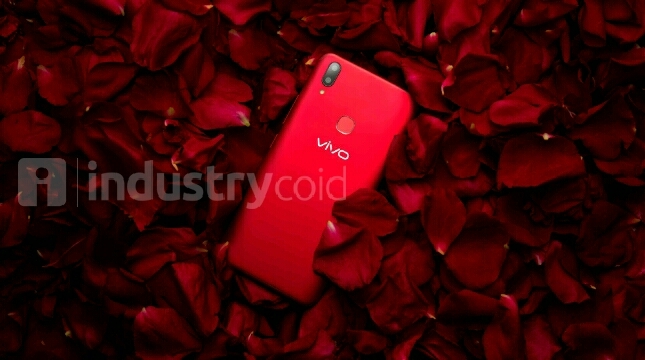 INDUSTRY.co.id - Jakarta - Vivo Indonesia officially opened the first online selling day vivo V9 True Red Edition on Tuesday, May 8, 2018 at 4 online vivo official store that is JD.id, Lazada.co.id, Shopee, & AkuLaku.com. Priced at Rp 3,999,000, various additional prizes such as: Bluetooth speakers, Tumbler, and MicroSD 64GB (JD.id special), ready to get consumers every purchase of V9 True Red Edition during the period. "We are introducing the Vivo V9 True Red Edition for consumers who care about the details of the design, understand the color philosophy, keep up with the trends, and actively use the smartphone features to maximize their activity," said Edy General Manager for Brand and Activation Vivo Indonesia Kusuma in Jakarta, Wednesday (9/5/2018). "This becomes the second advanced series after V9 Cool Blue Limited Edition, and we hope the super day in the online store makes it easy for the consumers of Indonesia to get our latest V9 series of this", said Edy. Special Edition V9 is carrying a fashionable design with sleek design and a 3D back cover that fit snugly. Featuring a 6.3 "FLD + FullView Display layarsinematic, Vivo V9 True Red Edition also brings the benefits of V-Series Perfect Shot Perfect View with AI Selfie Camera 24MP for front camera; and Dual Rear Camera AI Bokeh13MP + 2MP for rear camera. The excellence of the vivo V9 True Red smart camera provides users with the convenience of having to bother managing features manually, such as the AI ​​Face Beauty feature for filters that are much more natural by studying the habits of selfie and components such as gender, skin color, and skin smoothness automatically. Capture the various moments were more comfortable with the results clear, focused, and natural. In addition, Vivo V9 has AI HDR feature for free photo backlight, and AI Face Access that can be used to lock the smartphone and applications at once. With the purchase via online, consumers will get the comfort such as: Free shipping, 0% installment starting from Rp 166,625 / month, as well as 7 days of unconditional refund. Official vivo Indonesia warranty applicable in vivo after sales services spread across 31 provinces throughout Indonesia, also obtained by buying vivo V9 True Red Edition.